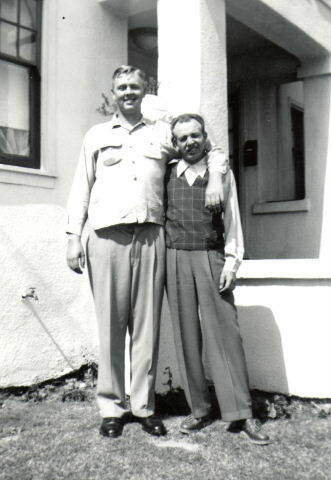 Gordon Garrett, son of Harry Garrett and Julia (Jackson) Lien, with one of my Grandmother’s boyfriends. Photo taken ca 1950. He came in at 6 feet 9 inches tall. I remember him coming in the house and having to duck to get under the door jamb.